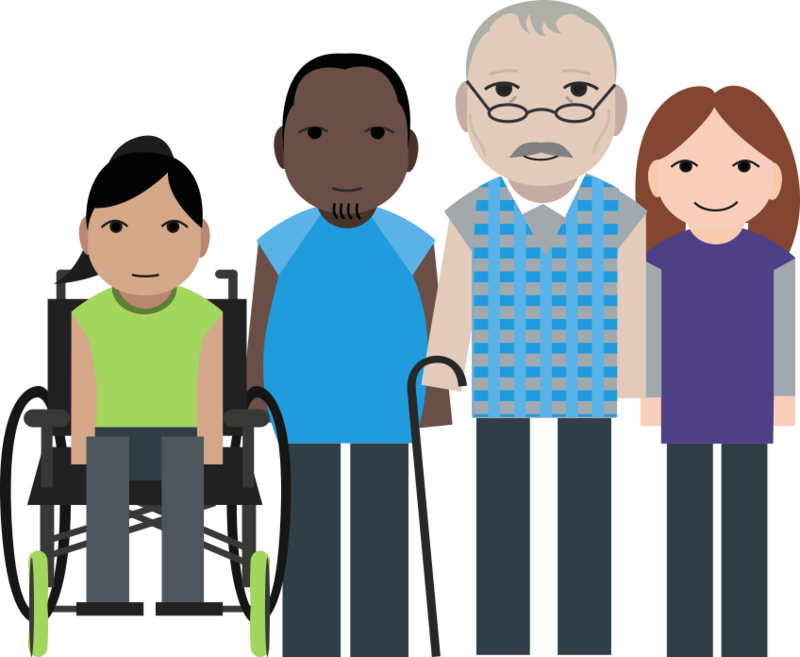 A new survey by the Care and Support Alliance (CSA) has found that more than a quarter (29%) of disabled 18 – 64-year-olds who rely on council funding have had their care cut over the last year. Yet respondents to this online survey often reported that there had been no change in their needs, or even a worsening of their condition, so it seems disabled people’s legal rights to care are widely being breached. In the most worrying cases, the health, safety and wellbeing of these people was being jeopardised as a result. The learning disability charity, Mencap, also reveals that in the last 12 months alone, 39% of helpline callers enquiring about social care who reported having some or all of their care withdrawn, and then discovering that these decisions have no legitimate basis in law. The Care Act is absolutely clear that the amount of care people receive should be based on an objective assessment of their needs, and that councils have a duty to ensure that anyone whose needs fit the ‘substantial’ criterion are met. However, an estimated £6.3bn has been taken out of adult social care in real terms since 2010 and overall council budgets were cut by 49% in real terms over the same period because of the Government’s policy of austerity. Meanwhile, need has steadily increased because of a rise in the numbers of older people and disabled people, creating an ever bigger gap between the demand for and supply of care. It would not be surprising therefore if cash strapped councils had been forced down a path of restricting the care they provide – but any such move would be in clear breach of the law and in defiance of disabled people’s rights. People who are entitled to receive council funded care have very considerable needs and require help with everyday basics the rest of us take for granted like getting dressed, eating and getting out of the house. Those whose care is funded by the council will have been assessed as not being able to pay for all or some of their care, so will also be living on a very low income. Failure to receive all the care you need in this situation can have a devastating impact. The CSA research undertaken this year also revealed that regardless of how their care is funded, too many are going without even the most basic care. Nearly half of respondents to the survey told us that because of a lack of care they have experienced not being able to get out of the house (48%) and not being able to work (46%), or have seen their health deteriorate (49%). In addition, nearly a quarter (24%) told us they are unable to move around their homes safely because of not having the social care they need. The alliance of over 80 organisations and charities is urging the Government to address the chronic underfunding of social care in the Budget on October 29th. Experts say that at least £2.5bn is needed to protect the social care system from the risk of further catastrophic decline in the next financial year (2019/2020), and to resource councils to deliver their duties under the Care Act. The Government recently pledged £240m to ensure that people who need care do not stay longer than necessary in hospital this winter. While this investment is welcome, it is only a stop-gap that does not address the chronic and systemic shortage of funding for care in local areas. Julie Sharp, 32, from Rotherham, has Triple X syndrome, a genetic condition which affects her neurological and endocrine systems, impacting her balance and coordination (further details below). “Last year, I had my care cut from 42hrs to 0. I had been using the care, for amongst other things, to help with meals. Without any care I tried cooking for myself but couldn’t follow the recipe and ended up with such bad food poisoning I was in hospital for five days. Severe dehydration, with my conditions could have been fatal. “It is scandalous that the rights of disabled people are being denied and that they are going without the care they need. As a result, some are being placed at risk and, more generally, disabled people’s opportunities to live full and productive lives are being seriously undermined. This is a false economy for our society and disastrous for the individuals concerned. “Evidence of the law being breached is widespread and compelling, and the cuts to council budgets since 2010 have been of such a scale that it would be little surprise if care is now being ‘rationed’, even though this should be impossible according to the Care Act. “We have seen an upwards trend in calls about social care and safe guarding issues linked to the worsening cuts. When Mencap challenges decisions, they are frequently reversed. Local authorities are making unlawful decisions because there is not enough money in the system. Since the survey was conducted, financial problems for councils have hit the headlines as several have come close to bankruptcy as a result of delivering the services they’ve been legally required to provide. Northamptonshire, East Sussex, Somerset are among a number of councils which have come close to financial collapse, which is even more worrying given that recent research by the County Council Network shows that Government imposed cuts will continue, with around a further £683 million estimated to hit local authorities in 2019/2020. The Care and Support Alliance (CSA) – is a coalition of more than 80 of the country’s leading charities (including Scope, MS Society, Mencap, National Autistic Society and Sense) – who are calling for a properly funded care system. Social care is an essential life support system that people rely on for everyday tasks like washing, dressing, eating and managing in the home. It also enables people who can to work, volunteer and take part in society. It helps people get out and about and is meant to support them not just to live but to have a fulfilling life. Without social care, many people would be lonely and isolated, as well as at risk of crisis. About the survey: CSA ran an online survey 24th January 18 to the 9th March 18.The survey was shared via CSA members and was completed by 3,915 self-selecting people who identified as having experience of adult social care in England. Rachel, 31, from Harrogate is visually impaired, epileptic and has speech and processing difficulties. For a long time, Rachel received 17 hours of social care a week. This involved help with basic tasks such as cleaning and cooking, as well as support with managing her money, medication and personal care. However, although her needs had not become any less pronounced her support was reduced to just five hours per week. This meant she only had help with basic tasks. With no one to help her manage her medication Rachel missed doses and had a seizure. To make things worse, while recovering Rachel mistook her dog’s medication for her own and became very ill and had to be hospitalised. These two incidents understandably knocked her confidence and she became demotivated and stopped taking her anti-depressant medication. This led to her becoming depressed and socially isolated, threatening to compound the difficulties she was facing. Social services stepped in again and returned her hours and now Rachel now has the care she needs to stay safe and well. Julie has needed social care since 2008, aged 22, when she was hospitalised with a collapsed lung. Julie studied music at Huddersfield University and wants to use her skills and experience with the care system to become an activities coordinator in a care home focusing on music therapy. Her care has been cut several times over the years once when she left Huddersfield and returned to her birth town Rotherham, and also when she got married – despite her husband having high needs of care himself. Something that social services only recognised when Julie was rushed to hospital and they had to put in a care package for her husband. Despite still recovering and being in a wheelchair, the care package for her husband was immediately stopped on the day Julie returned home from hospital as the council presumed she could resume her caring role despite having high care needs herself. *Cut 1: working-age adults (18 – 64) (445 people) whose case was fully funded, or partially funded by their local council – A third (29%) said over the last year their care had been cut despite their needs remaining the same or getting worse. Nearly half, 48%, haven’t been able to leave their home. Nearly a third, 31% have been unable to maintain basics like washing, getting dressed or visiting the toilet. A quarter, 25%, have gone without meals. More than half, 53%, have felt lonely or isolated. Because of not getting the care they need 49% said their health has deteriorated. More than a quarter, 27%, have needed hospital treatment because of not getting the care they need. A quarter, 25%, have missed medical appointments because of not getting the care they need. Nearly one in 10, 8%, have had to stay in hospital longer because care was not in place. Nearly half, 46%, haven’t been able to work because of not getting the care they need. More than a quarter, 28%, have been unable to volunteer/access training or education. 60% of people said they couldn’t do the things important to them. Why are we describing the situation as ‘unlawful’? If the inability to meet the outcome means that there is a significant impact on the person’s personal dignity; on their mental or physical health; or on their control over day to day life; then there is deemed to be an impact on a person’s wellbeing. As the Care and Support Alliance’s research shows, over a quarter of working-age disabled adults (29%) who responded to the survey and rely on local authority-funded or part-funded support have had their care packages cut even though their needs have stayed the same or have increased. This indicates unlawful behaviour, as local authorities should continue to provide care to those who have two or more of the specified outcomes outlined above. Disabled people are more than twice as likely to be unemployed as non-disabled people and over 3.4 million disabled people are in employment. As of 2016, there were 63 million people between the ages of 18 and 64 in the UK. Meanwhile, 19% of working-age adults in the UK have a disability. An estimated 12million people. When asked about which groups they were most concerned about in terms of financial pressures on adult social care budgets (relating to increasing need, complexity and demand), 32% Directors of Adult Social Services (48) were most concerned about the financial pressures relating to working-age adults. There are 252,850 people aged 18-64 receiving long-term support in England. CSA, “Big Social Care Survey”, 2018 – see notes to editor for how this was calculated.